It’s hard to believe we are finishing up are last week of camp for the summer! It’s been an awesome summer full of camp! Week Three of Adventure Camp was packed with a lot of extra fun. This week we had our Wildwood campouts. 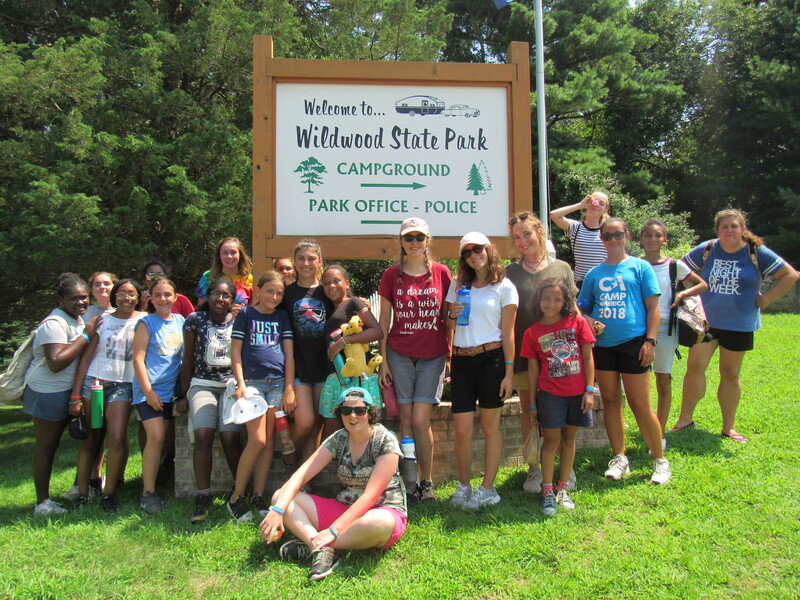 Campers hiked down the beach to Wildwood State park. They slept under the trees (and stars) in tents with their cabin groups! Campers created some of their own culinary treats and learned how to cook over the open fire. Upon returning back to camp, campers learned to work together as they went to tackle some challenges on the Camp DeWolfe Challenge Course. On Thursday there were some boat races! Campers paddled in canoes from the Camp DeWolfe beachfront to the Wading River Inlet. The journey is about one mile and all our racers completed the race in less than an hour, even when the headwind was not on their side! Today, the kayakers and paddleboarders will see who will reach the dock at Wading River first. It is fun to be on the water! We had a couple of theatrical performances to finish the week out as well! Our counselors competed in some “Minute to win it” competitions on Thursday. It was quite hilarious to watch them perform some bizarre tasks, ie shooting cans off a table with rubber bands or getting an Oreo from your forehead into your mouth without using their hands! Tonight will be the annual Camp DeWolfe Talent Show. We are sad to see everyone leave this week, but it has been a great summer! To God be the glory!